with Free Artworks and Electronic Mock Up Production Sample For Your Approval. 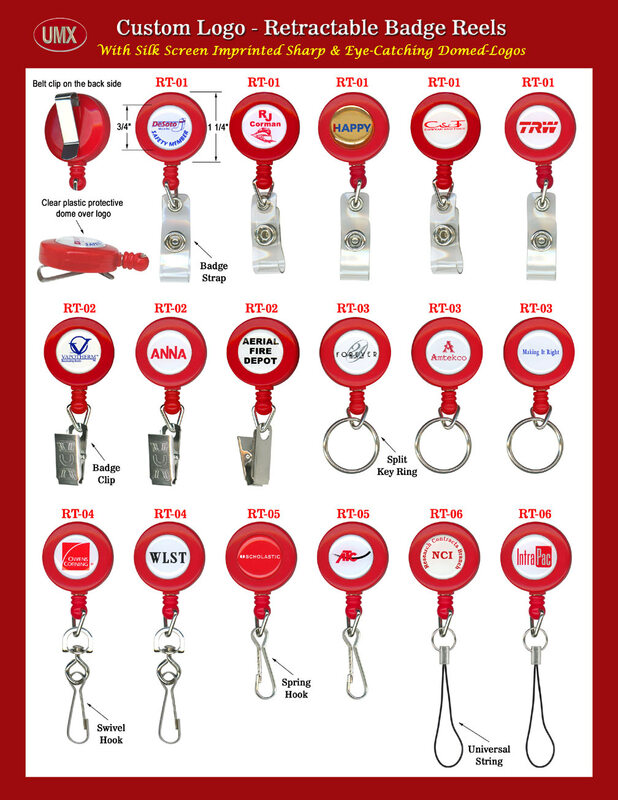 Lanyards > Badge Reels > Custom Logo Imprinted or Laser Cut > Custom Reels Designed By Expert Retractable Reel Designers. We have experienced in-house custom retractable reel designers. Whether it be a graphic or a text message, or both, our designers can design a perfect artwork for your approval at free of charge. Just tell us what you want your reels to look like, then our designers will design it for you in 30 minutes. A picture of a real electronic mock up production reel will be e-mailed to you, so that you can see how your custom reel will look like! Your are viewing Lanyards > Badge Reels > Custom Logo Imprinted or Laser Cut > Real Production Samples of Custom Reels Designed By Our Experienced Retractable Reel Designers.